Happy St. Patrick’s Day 2014. 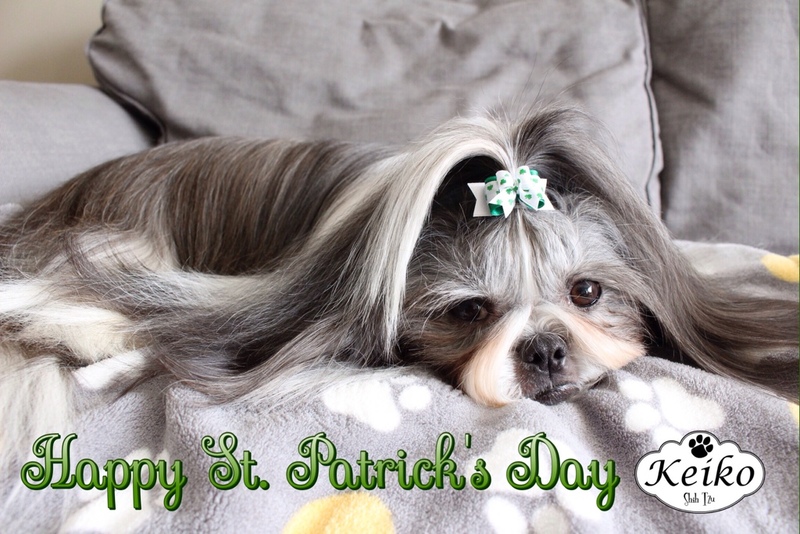 Happy St Patrick’s Day from Keiko. 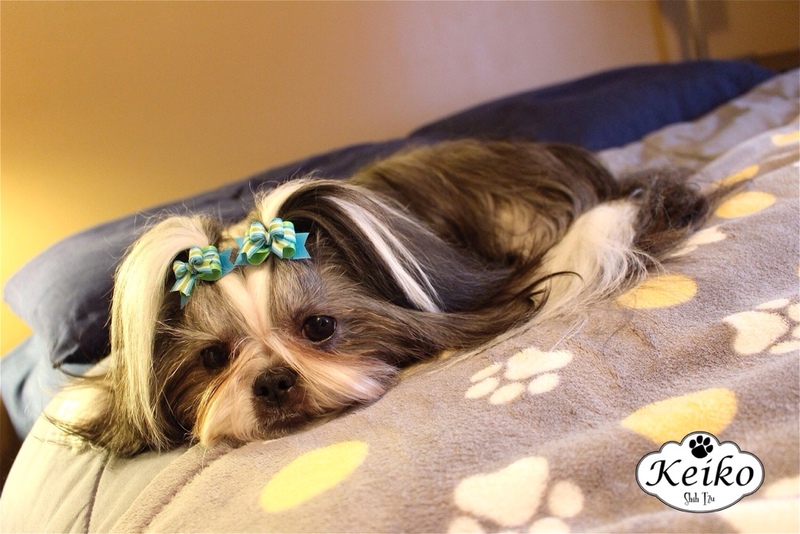 First time Keiko wears a beautiful shamrock bow from Doggie Bow Ties.